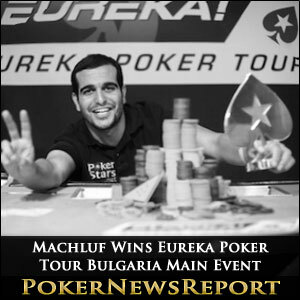 The Eureka Poker Tour Bulgaria is over and it was Israel’s Liran Machluf who emerged as the winner of the four-day long event. Machluf won €93,000 (around US$123,500) for his stellar performance in the event, besting a field of 407 players en route to taking out the top prize. 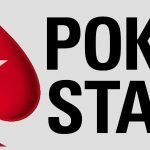 It is the highest payout for a Eureka Poker Tour Bulgaria winner to date, as the event continues to grow among poker players in Eastern Europe and beyond. Macedonian pro Tane Tanevski was the chip leader going into the last day of play, and he looked like the player to beat early on. 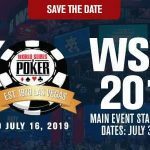 It did not take long for Tanevski to eliminate WSOP Gold Bracelet winner Ivo Donev from the final table with a set of Sevens to reduce the tournament to its final seven players. Teneveski also had Pocket Sevens when he claimed his second straight final table scalp by knocking Georgios Phiniotis out in seventh spot. The Sevens were able to hold on the board against the Greek’s A♣ K♥ to send him out of the tournament. Any momentum the Macedonian seemed to be gaining stopped abruptly after losing a huge hand against the eventual winner, doubling him up in the process. That seems to be the start of Machluf’s run to the title as he eliminated Papantoniou Stylianos in sixth place soon after by hitting Trip Queens on the turn with A♦ Q♥. 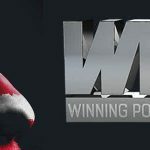 The Israeli then claimed a second straight final table scalp of his own after knocking Stefan Ivanov out of the event in fifth place. Ivanov had the upper hand before the flop when he moved all in with A♣ 8♦, while Machluf had K♠ 9♠. However, Machluf managed to hit a Nine on the flop, which won him the hand and set the Bulgarian out of the event. Machluf then made it three in a row after he eliminated Michal Vojtisek from the tournament. Vojtisek’s 10♥ 8♥ were not match for the Pocket Jacks of Machluf, and they held on the board to win him the hand and send Vojtsek packing in fourth spot. Russia’s Alexander Moiseev than eliminated Tanevski in third place, after his Pocket Kings were not match for the former chip leader’s hand. While Tanevski didn’t get the top spot many thought he would get going into the final day, he still managed to leave with €38,400 (around US$51,000). That’s still not a bad pay day for the 27-year-old. 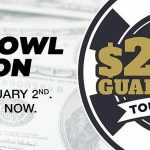 The one-time chip leader’s elimination left Moiseev and Machluf in heads-up play, with the Israeli holding the chip lead over the Russian when play first started. In the final hand of the event, Machluf raised before the flop with A♦ 5♦ and Moiseev called with Pocket Kings, putting him ahead. That changed after the flop however, as the Israeli flopped a Two Pair, which led him to move all in before being called by Moiseev. The Russian needed a King on the turn or river to stay in the tournament, but it didn’t come and he was eliminated from the event in second place while Machluf was proclaimed the winner.